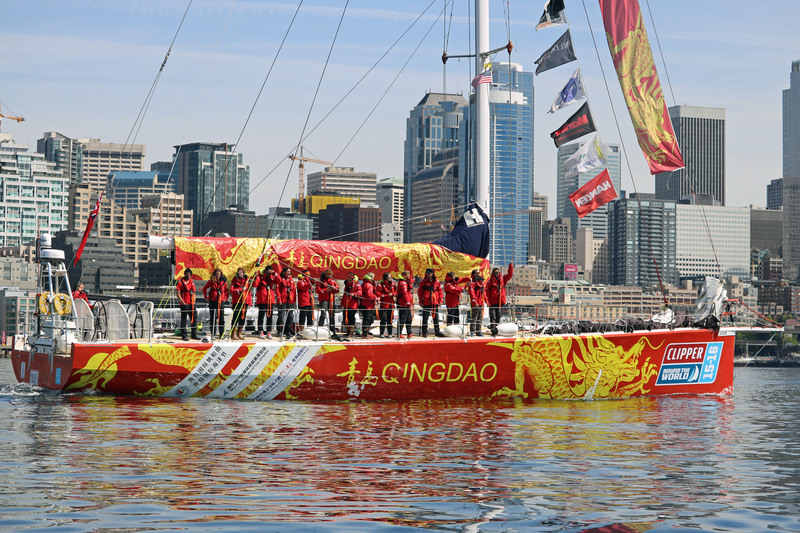 Qingdao has arrived into Seattle's Bell Harbor Marina with a warm reception from friends, family and supporters. 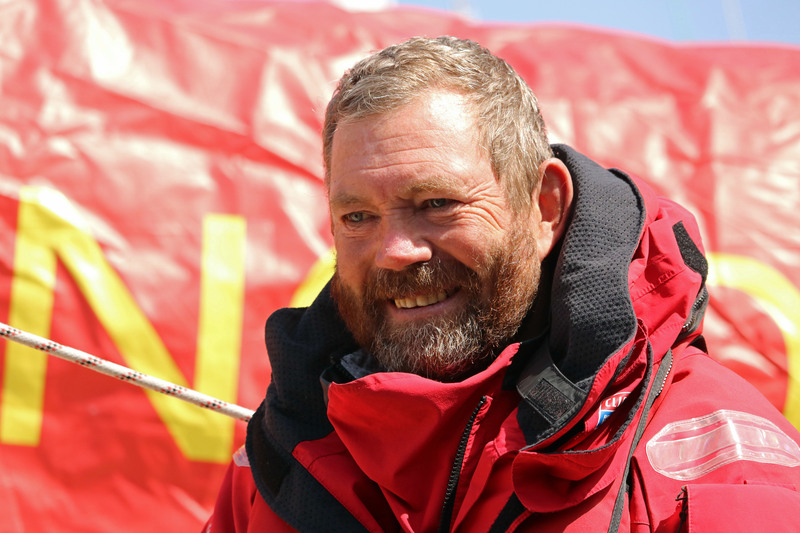 The team docked at 1300 local time after Skipper Bob Beggs and his crew finished the Seattle Pacific Challenge in eighth place. Bob said his team had raced the boat effectively in this race. "We started off in last place and had a poor position to start with but the crew worked really hard and we worked our way up. No one likes to be eighth. We would have loved a podium position but I think we did really well, and it was an interesting challenge. "The crew did really well in the conditions trying to keep warm and keep the boat going and I am proud of what they did. The Qingdao ambassadors were very keen and got stuck in, it was great to have a large Chinese contingent on board from our partner city. "There are some big waves and winds out there. It’s not an alpine sprint, it’s a Himalayan assault, you handle the weather the best you can. 28 days is a long time to be in a watch system in cold weather. It’s nice to be here in the sun and enjoy the camaraderie and catch up with the rest of the fleet," Bob added. Upon arrival, Caroline Bowen, a round the world crew member, spoke about the challenges. “The first half was much warmer than we expected after the really cold leg into Qingdao, but the storms were relentless. Now we don’t think anything of the fact we just had 45 knots. At home you wouldn’t leave the marina or even your house in those conditions. “We have had a very warm welcome and it’s great to be here,” Caroline added.